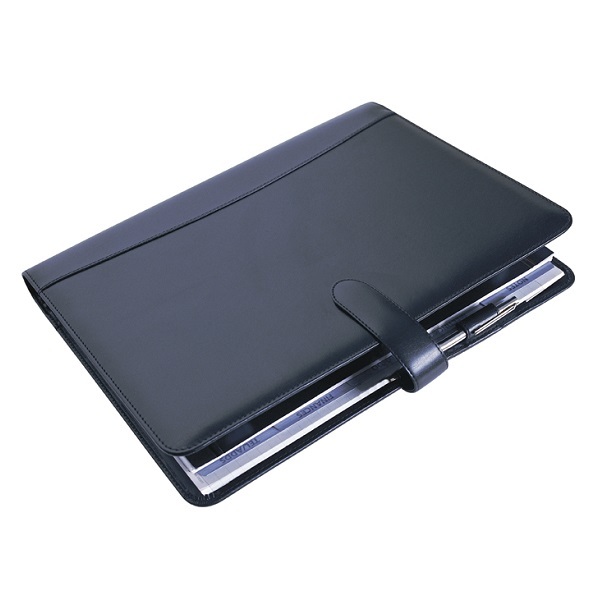 A complete portable workstation, this executive is the ideal professional business tool. The four-ring A4 organiser with a zip-around cover combines the elements of a diary with contact list, meeting scheduler, finance records as well as notes in one organiser. Also features full-length pockets on the inside cover for extra storage and business card holders. Black soft touch PU Cover with Zip Closure. 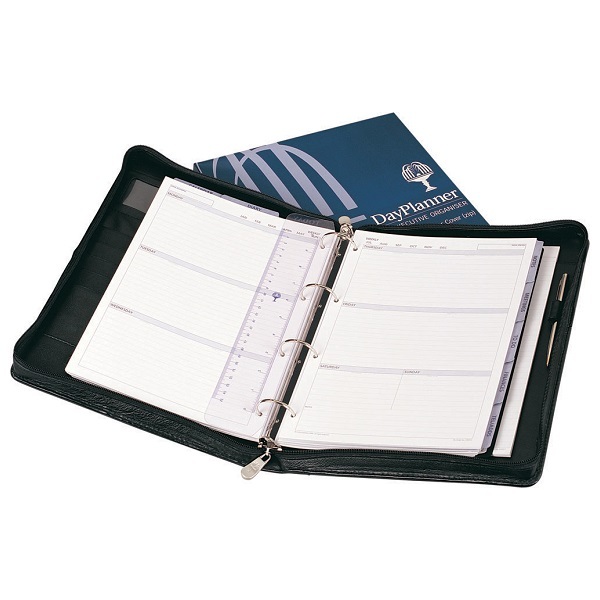 This A4 Executive DayPlanner is a slimmer, lighter version with a snap closure. Ideal for those who prefer the A4 size but don't want the extra bulk. This organiser has smaller rings, snap closure and a slim contents version. Black genuine soft Nappa leather cover with Snap Closure.